Good news for those of you whose childhood selves spent countless hours in Care-a-Lot! 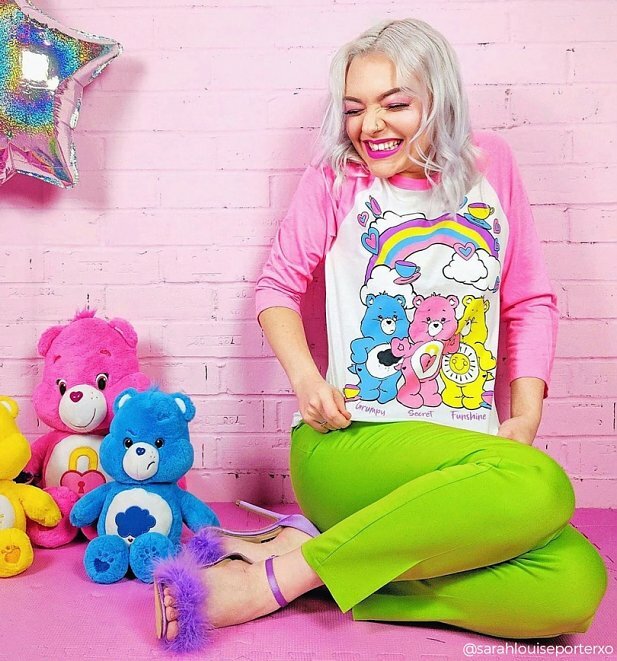 We've teamed up with some of our favourite Care Bears fans to create an adorable collection inspired by their warm, fuzzy memories of the Kingdom of Caring. 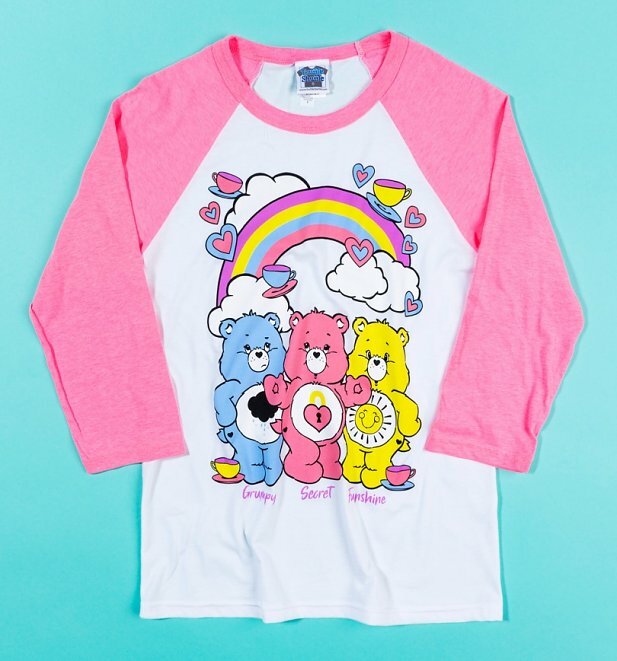 Guaranteed to get you a whole host of Care Bear stares, this extra cute colab perfectly captures the magic of these childhood faves. Review: Love it! Perfect and adorable, just how it shows! 27186Womens Care Bears Hearts and Tea Cups Baseball T-Shirthttps://www.truffleshuffle.co.uk/product_images/TS_Womens_Care_Bears_Hearts_and_Tea_Cups_White_and_Neon_Pink_Raglan_Baseball_Shirt_29_99_Model_1.jpg29.99GBPInStockGBP/t-shirts-and-clothing/women/t-shirts-and-clothing/t-shirts/80s/cartoons/cartoons/care-bears/t-shirts-and-clothing/t-shirts/baseball-tees/games-toys/white-off-white/pink/truffleshuffle/exclusive/kawaii29.9900Good news for those of you whose childhood selves spent countless hours in Care-a-Lot! We've teamed up with some of our favourite Care Bears fans to create an adorable collection inspired by their warm, fuzzy memories of the Kingdom of Caring. 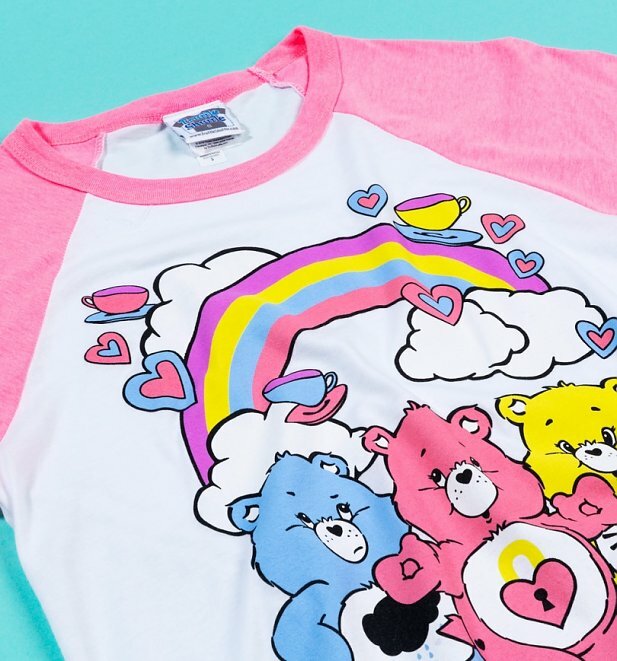 Guaranteed to get you a whole host of Care Bear stares, this extra cute colab perfectly captures the magic of these childhood faves.